Take Your Client Assessment & Protocols To The Next Level! 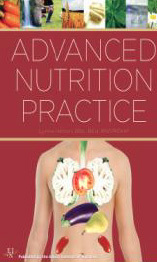 Advanced Nutrition Practice contains and in-depth study of clinical assessment methods and protocols for the nutritional treatment and prevention of disease. 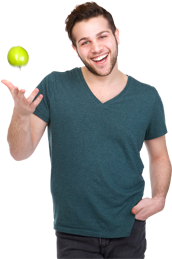 Discover the principals of Body/Mind symptoms and how they relate to specific nutrition requirements. Text includes detailed supplementation and diet protocols for the treatment of clinical symptoms and instruction on the use of assessment tools such as Hair/Tissue Analysis, pH testing, Thermograpy, BTA, ELISA testing and Live Cell Microscopy. You will gain knowledge in making recommendations for more complex cases such as cancer, endocrine dysfunction, auto immune disorders, metabolic syndrome and bowel disorders. Seven hours of recorded instruction will allow you establish greater comfort in helping clients with more challenging health concerns and recommendations. Available through Edison Institute of Nutrition as a valuable resource. This course also available for CE credits – click here.